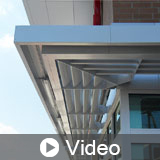 The leader in extruded aluminum canopy, aluminum frame, store, hanger rod and custom canopy systems. 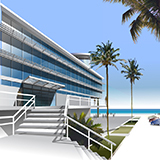 Providing innovative environmental control through creative design, MASA Architectural Canopies represents an exciting approach to the pre-engineered building components market and is always pro-active to expand industry trends and designs. MASA’s broad knowledge separates them from the cookie-cutter fabricators to an elite level of custom design and build manufacturers. 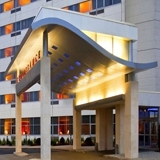 From start to finish, design through installations, MASA provides superior execution required during each phase of your project to produce top-quality canopy systems. When quality counts, you can count on MASA. 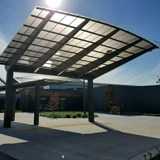 Canopy systems are sometimes one of those building elements that get taken for granted or overlooked, despite the important role they play in providing coverage, shading and reduced heat gain to a building. The integration of these systems with other exterior building systems also often ends up becoming an afterthought, leaving room for potential errors and less-than-ideal scenarios. In this program we'll discuss the importance of early consideration and integration of your canopy system in the design process while exploring the various benefits Whole canopy solutions provide.